Alerts and notifications can be useful, but too many and you eventually enter annoying territory. Productivity-boosting sounds include new email tones and upcoming event chimes in Outlook. Most everything else falls into the unwanted category. Sound cues are an Ease of Access feature in Microsoft Office 2016, which means you can turn them off if you deem them unnecessary. This is true for Word, Excel, Outlook, and PowerPoint 2016. Here’s how you can quickly turn the sound cues on or off in these programs. Note that if you are a Microsoft Office 365 subscriber, then the update with this feature may not have come to you yet. But once it does, here’s where you can find the controls. Go to the File > select Options. Click on the Ease of Access tab. Under Feedback Options, select or clear the Provide feedback with sound checkbox. You can also use the Alt + F shortcut, then the T key to open the Word Options screen. Microsoft Office gives you the option of two sound themes from the Sound Scheme dropdown: the Classic theme or the Modern theme, which is less annoying in my quick experiments with sound cues. Are Sound Cues Annoying or Useful? There are some subtle features in Office 2016 which can hike or hamper your daily productivity. The good thing is that you can customize Microsoft Office How to Customize Microsoft Office 2016 to Your Needs How to Customize Microsoft Office 2016 to Your Needs Default settings rarely meet the needs of every user. 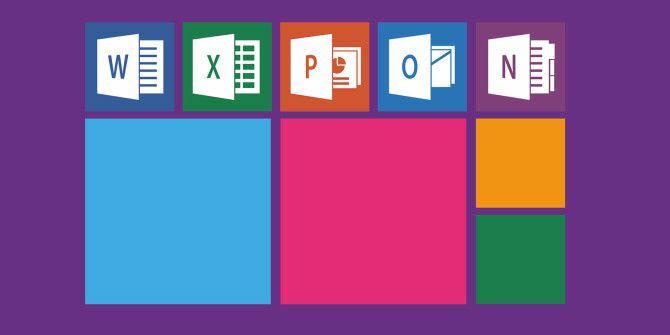 Here we present five easy tweaks that allow you to adapt Microsoft Office 2016 to your preferences. Read More to suit your needs. The sound effects are there for a reason. Are you someone who finds the sound effects useful? Explore more about: Accessibility, Microsoft Office 2016, Microsoft Office 365, Productivity. I have this option turned off but it still makes the click noise like 40 times when I open an office product. Me, too! After the Windows 10 update virus, this is one of the worst issues to be thrust upon once loyal Microsoft users. It's getting old, Microsoft, it's getting so old.